New photos from Big Bend National Park are now live on the website. It is a beautiful and diverse park and I can't wait to return. Take a look! 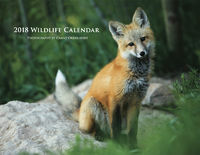 11/4/2017: 2018 Wildlife Calendar now available! My 2018 wall calendar is now available for purchase. This 8.5"x11" (17"x11") calendar features animals from all over the world. The calendars come individually wrapped making them perfect gifts. 7/25/2012: South America photos are up! Images from my travels through Patagonia and Peru are now live! I spent six months down there climbing mountains, sea kayaking, and taking photos. It is an amazing place and I hope that my images can convey the love I have of this beautiful place. Enjoy! 9/10/11: Africa Gallery is Live! Please take the time too look at my new images from my recent trip to Africa! It was a great trip and a great experience. I really have enjoyed getting into wildlife photography and I hop you enjoy my images. Thanks! November 2010: The World Wide Web! It gives me great pride and pleasure to announce the launch of my website. Here you can find my image portfolios of the landscapes I enjoy so much. I am super excited about this website and would like to thank Jack Brauer and Scott Borger for making it a reality. Feel free to browse the galleries and let me know what you think!